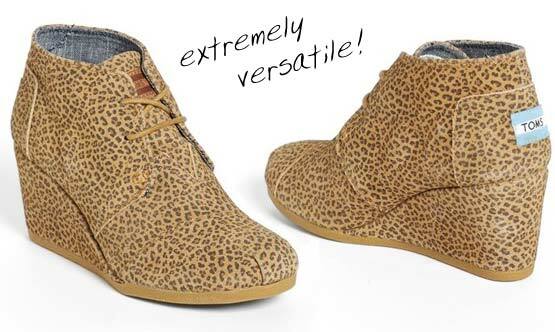 These Desert Cheetah Suede Wedge Booties by TOMS are a just-right wedge with a sprinkling of cheetah spots. It refreshes a modern suede chukka boot with utilitarian undertones. The Cheetah print is just right, not too bold, not too small. They are super comfy, you can wear them all day at work with no problem. 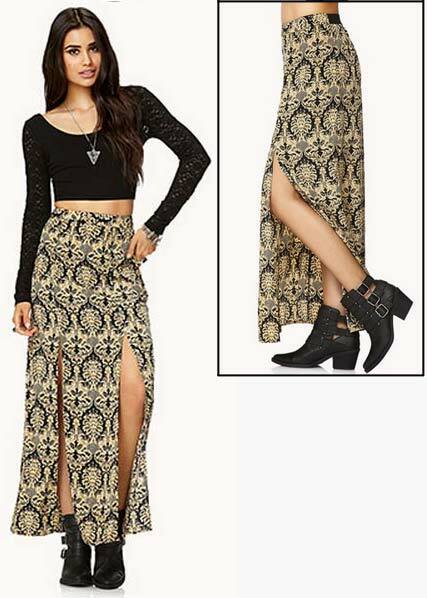 This Luxe M-Slit Skirt from Forever 21 is a maxi skirt featuring a damask print. This Gorgeous Print Maxi Dress by Kiera Rose has a beautiful bright and features a black mock wrap top and an elasticated empire waist, with a floor length multicoloured rose print skirt. This dress is perfect for all kinds of occasions – whether it’s a family BBQ or evening drinks in the sun. Add tribal influenced accessories for a cool look. Wear with a pair of bright wedges, a statement belt and a chunky cuff.